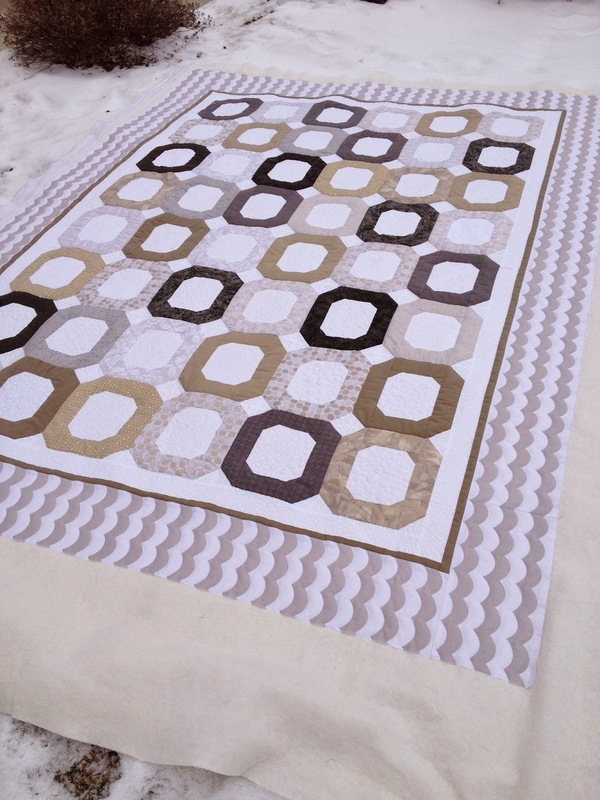 Beautiful modern quilt pieced by Linda. I love the neutral colours she chose. It was pretty easy for me to see how I would want to quilt it - emphasizing the piecing and the contrast of light and dark....and Linda was all for it. 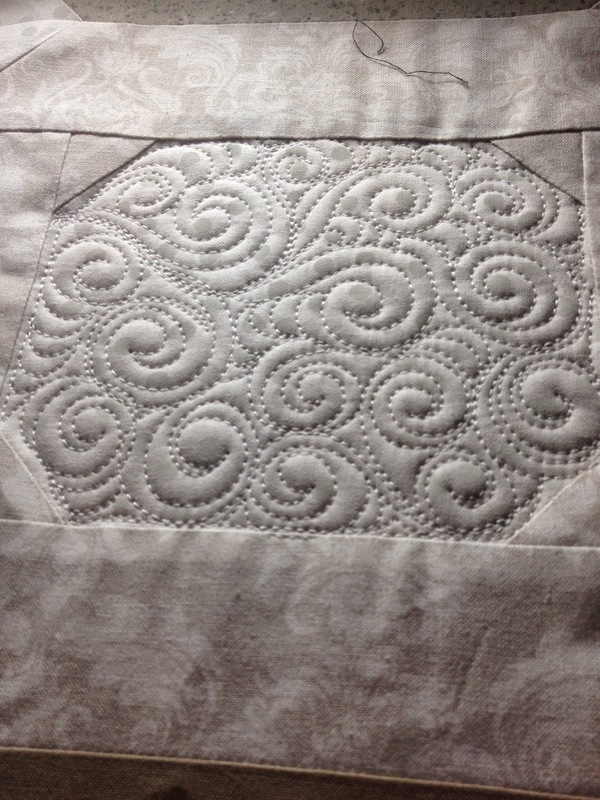 I densely quilted the inner white areas and the border, using a variety of simple fills like u-turns, swirls, pebbles. 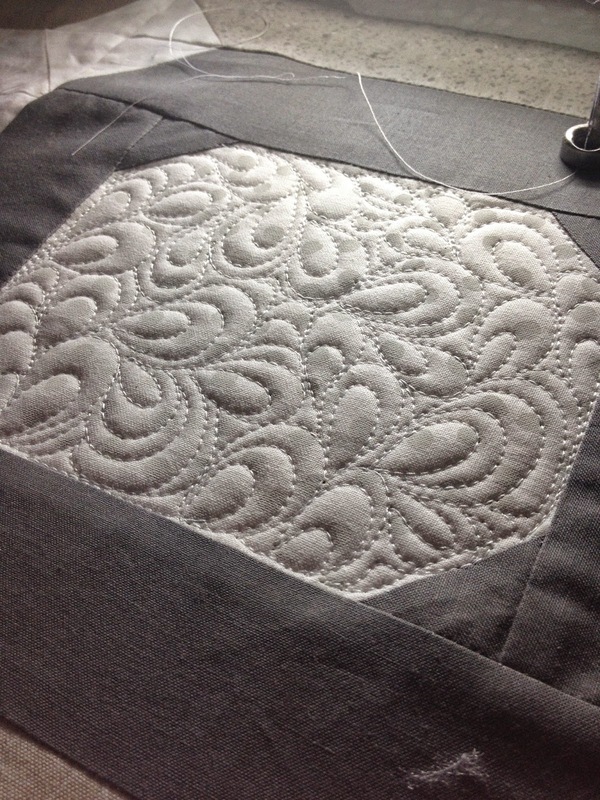 This photo doesn't show it but I also quilted down the centre white diamond shapes and stitched between the blocks for more definition. 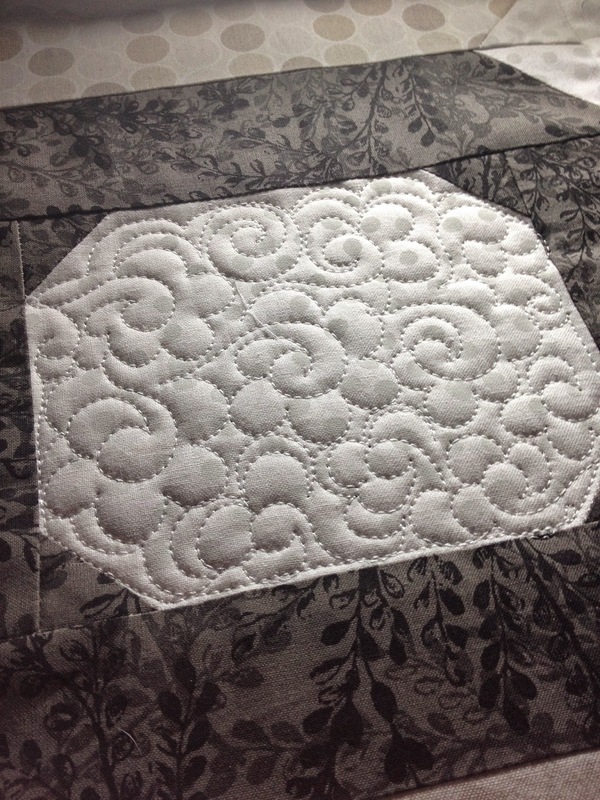 The outer border of this quilt was a scallop print. It was carefully pieced with perfect matching edges. 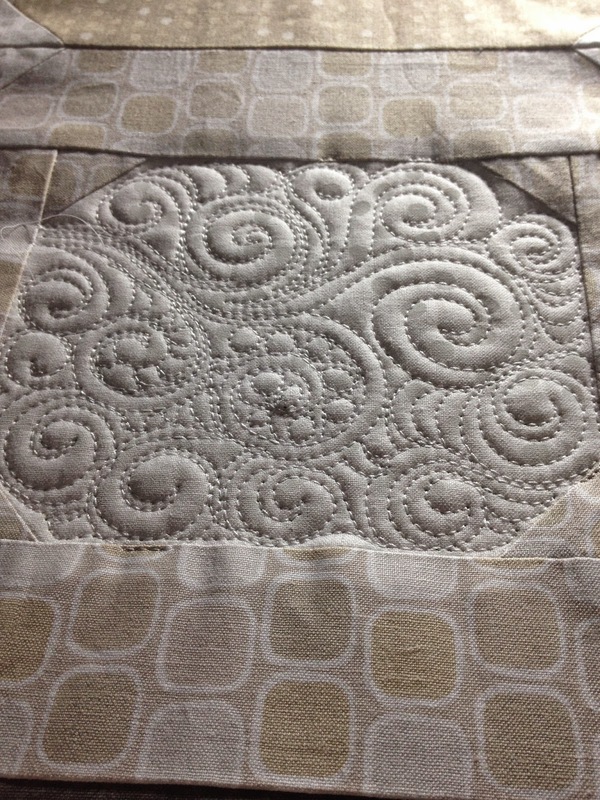 I just quilted along the lines to give it some texture. a mix of swirls and pebbles I like to call jewelled swirls. Backing - I also stitched the ditch area of the outer blocks to show definition of the piecing and stabilize the fabric some more. 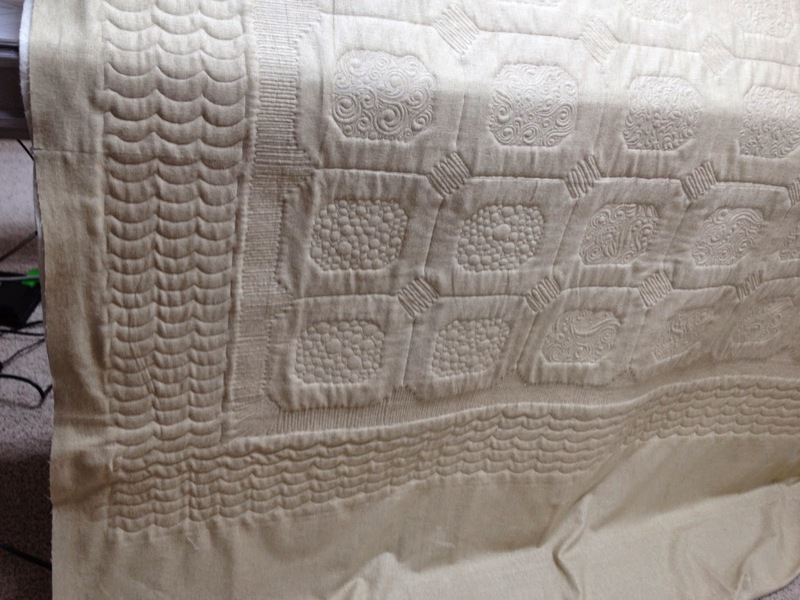 I love the quilt pattern, color and your quilting finished it off perfectly! Would you happen to know th pattern? 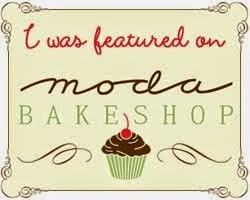 I would love to make one for myself...I haven't yet found what I want and I really like this. Absolutely beautiful, both the patchwork and the quilting.